Let’s start 2015 off right with an update to the earlier mention of Graham Patterson’s RHD ’67 Beetle. In his own words. I trust you all had a great Christmas and safe New Year. 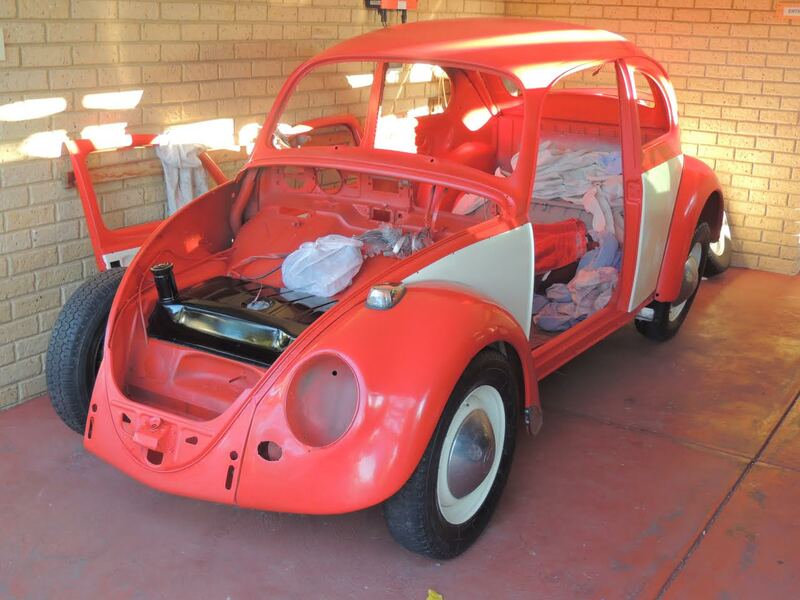 I thought people around the world may wish to see how I am advancing with my rebuild of the ’67 Aussie Beetle. I’ve now completed the body work, mechanicals and re-spray; need to get the roof liner done and this is the one job that gives me the most worries. Forget about the welding, body work, painting and motor works, this head liner gives me the cold sweats. But, I will just have to knuckle down and do the job. I also managed to purchase another 1500 single port engine that runs well and is in great shape, so I can relax knowing I have two units to draw on just in case. Another little story. I have a mate just up the road from me, a policeman in the Traffic Dept. He has admired my ’67, sees it every day, and makes comments on how it is coming along. He called me over a few weeks back and, yes he has bought a Beetle to work on. But not just any Beetle; a ’67 1300 but the standard. But there you have it, two 67’s in the same street and being brought back to life, amazing world we live in. Anyway, will keep you up to date on my car. 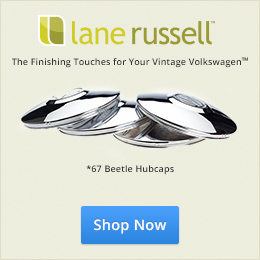 Thanks, Graham, for sharing your update with 1967beetle.com. Very interesting picture. I take it that the correct vented wheels will be added at a later date. I do understand that EU 67’s had the older style headlights. Kevin, it’s an Australian 1967, not a Euro/German. Aussie ’67s kept the earlier solid wheels with cream centre & body colour rim, and domed chrome hubcaps with black painted VW logo. Aussie ’67s are basically German/US ’64 models with a 1300 engine and slightly improved gearbox and brakes. See how it has the small window pre-’65 body shell. In fact the Aussie press tooling and body jigs ended up in Brazil, which made the small window body for years after. What’s the wide of your tire because tire 155 not available anymore in our country Philippienes. Thanks Happy New Year. ALthough 155X15 tyres are not available, you can just use 165X15 in their place. I use 165X15 Michelin “ZX” radials on my 1966 VW sedan. Great job Graham! Both on your car and the recruiting of another caring person to keep this passion alive!